This morning we sail from nearby Kennacraig to the beautiful Isle of Islay, the southernmost island in the Inner Hebrides. 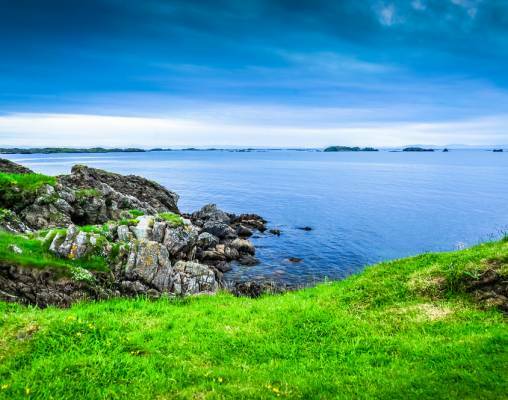 Islay is the fifth-largest Scottish island and the seventh-largest surrounding Great Britain. The crossing, on the Calmac Ferry, is accompanied by incredible views of the rugged coastline. On arrival in Port Ellen, we transfer through the craggy grassy plains to Bruichladdich, where we enjoy a guided tour of the Distillery. Islay is one of five whisky distilling locations in the country whose identity and heritage is protected by law and its produce has become famous the world over. Bruichladdich produces mainly single malt Scotch whisky, but has also created its own artisanal gin. Owned by Rémy Cointreau, it is one of eight working distilleries on the island. Later we continue across the heart of Islay, visiting Port Askaig for a short stop. 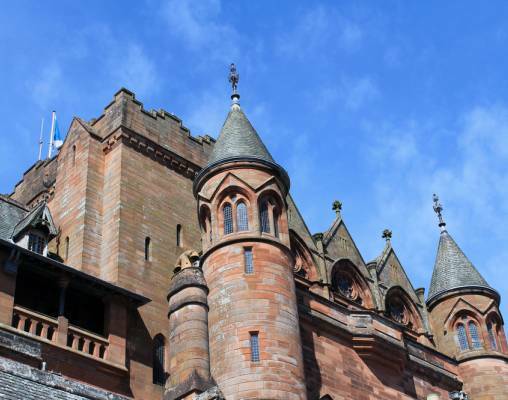 Today we take the short ferry crossing to the Isle of Bute to visit one of the world's most spectacular Victorian Gothic mansions, Mount Stuart. The ancestral home of the Marquesses of Bute was designed by Sir Robert Rowand Anderson for the 3rd Marquess of Bute in the late 1870s, replacing the earlier home which had been lost in a blaze. The house is the seat of the Stuarts of Bute, direct male-line descendants of John Stewart, the illegitimate son of King Robert II of Scotland, the first Stuart King. Through this bloodline, they are also descendants of the infamous Robert the Bruce. The main part of the house provides a stunning example of Gothic Revival architecture and is rather imposing with its red stone walls. Mount Stuart's main features include the colonnaded Marble Hall and the elaborate Marble Chapel, with its spiraling spired tower. On today's excursion, we enjoy a scenic drive to Inveraray Castle, the imposing, turreted ancestral home of the Dukes of Argyll. During our guided tour we explore the lavish stately rooms and learn about the folklore and legends that have shaped this region of Scotland. Mid 18th century neo-Gothic in design, the castle is surrounded by 16-acres of verdant gardens and boasts an estate of 60,000. The castle has been the seat of the Duke of Argyll, chief of Clan Campbell since the 17th century. The Duke and his family currently live in private residence set between the castle's two circular towers while the remaining wings are open to the public, resplendent in their neo-classical design, originally made for the 5th Duke by Robert Mylne. 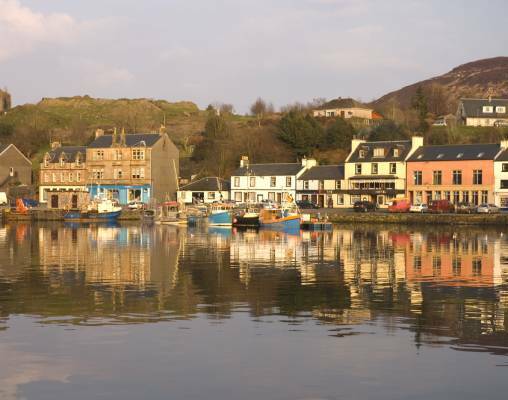 We then have some free time in the nearby town of Inveraray. Situated on the western shore of the mighty Loch Fyne. Here you could visit the Georgian Inveraray Jail, a 19th-century prison that is now a replica museum. 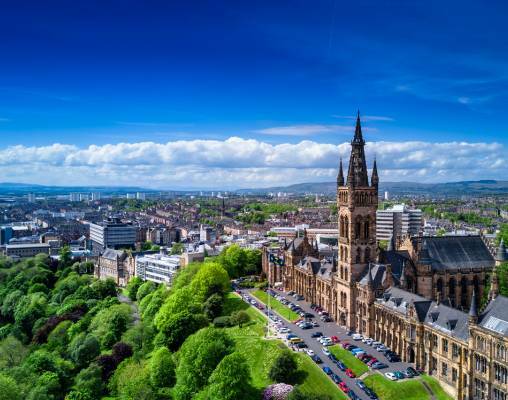 Glasgow's Hotel Indigo is a boutique 4-Star establishment based in the former Scottish Power building and decorated with the work of local artists. Hotel Indigo offers air-conditioned rooms with a telephone, an LCD satellite television, radio alarm clock with an iPod docking station, a walk-in rainfall shower, hairdryer, free Wi-Fi and a complimentary mini-bar. The hotel has a health and fitness center and the Marco Pierre White Steakhouse. The Hotel Indigo was awarded 'Glasgow Hotel of the Year' at the 2012 Scottish Hotel Awards. 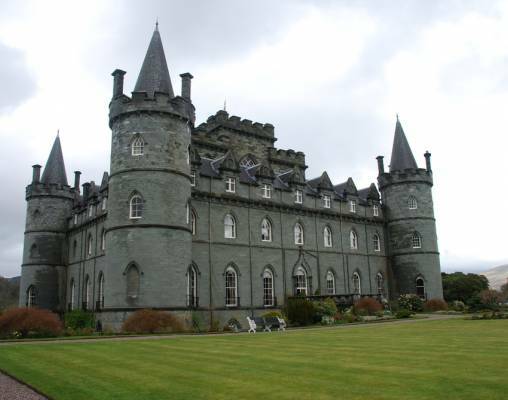 Stonefield Castle was built in 1837 for Mr. Charles Campbell, who - according to legend - inherited the site from the disgraced Constable of Tarbert after the previous building fell into disrepair. Little has changed since the castle was completed - its grand interiors of wood paneling, ornate ceilings, and marble fireplaces have been carefully maintained. Many of the original furnishings have also been very well preserved, and blend with the modern conveniences. The castle is also surrounded by acres of private woodland gardens, which include a private island in Loch Fyne. The wild scenery around the loch has remained unspoiled by development of any kind, and very little has changed throughout the splendid landscape. Also known as 'the Iron Road to the Isles,' a journey on the West Highland Line is an epic rail adventure that takes passengers through some of the world's most beautiful and dramatic landscapes. In fact, the line has twice been voted the world's best rail journey by readers of Wanderlust magazine. Running from Glasgow's Queen Street station, the train runs through the city's outskirts and on to Helensburgh. From here the train begins its ascent into the famous Highlands. Soon the train skirts the beautiful Loch Long, followed by the immense Loch Lomond, as it makes its way up the ever-increasing gradients. 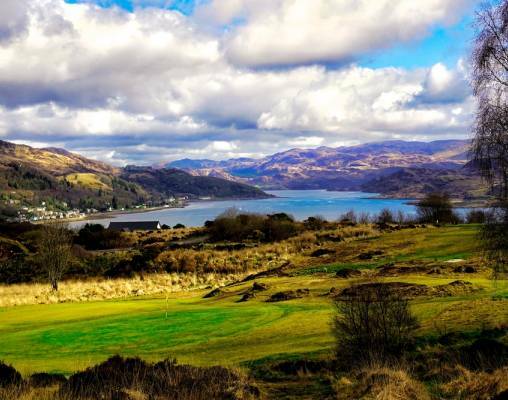 The journey continues alongside the Loch - Britain's largest body of inland water - while winding through pretty wooden slopes. Continuing northward through charming isolated villages, the train then climbs more than 500 feet (150 m) in just five miles, before arriving at the tiny hamlet Crianlarich. Here the West Highland Line splits into two branches. One continues to Fort William and Mallaig, the other heads west to Oban. Enter your details below if you would like to be notified when 2020 dates and prices are available for A Castle on the Shores of Loch Fyne. Prices are correct at the time of publication, however are subject to change at time of booking. Prices are land-only, per person based on double-occupancy.